The control amplifier represents a distinctly different approach to high-performance home audio. In many ways it is the ultimate embodiment of our design philosophy that simple circuits yield best results. Similar in function to an integrated amplifier, a control amplifier offers the significant potential improvement of eliminating extra connections, external cabling, and inter-device connection considerations that limit conventional audio systems. But the control amplifier also eliminates an entire stage of audio circuitry (the line stage) and its inherent colorations. 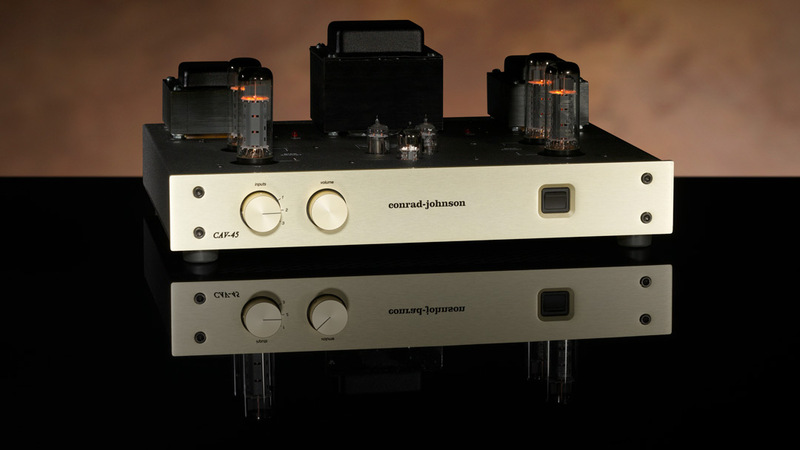 The CAV45-S2 is a vacuum-tube control amplifier. Its audio circuit is similar to our highly regarded Classic Sixty power amplifier, with triode voltage gain and phase inverter stages and an output stage comprised of a pair of EL34s per channel operated in ultralinear mode to produce 45 watts per channel. 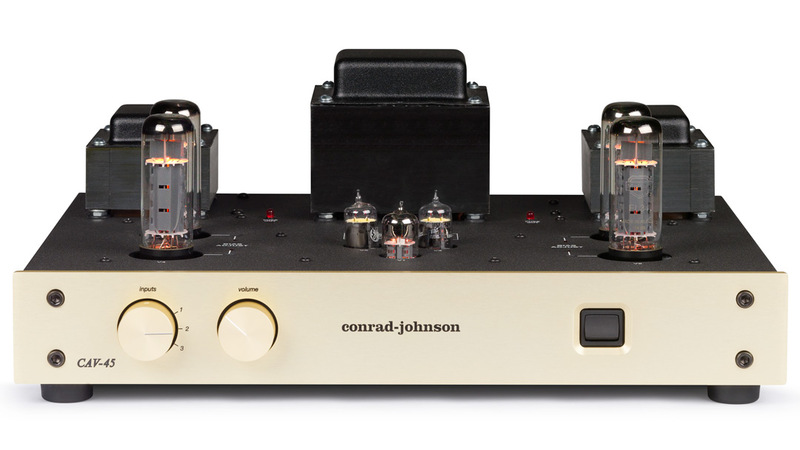 The use of carefully selected, high-quality parts enables the CAV45-S2 to properly exploit the dramatic potential of a control amplifier to enhance the immediacy of musical experience afforded by fine recordings. All resistors in the audio circuits and related power supplies are precision metal film types. With the exception of the large power supply reservoir capacitors (which are specially chosen electrolytic capacitors bypassed by polypropylenes), all capacitors in these circuits use polystyrene and polypropylene dielectrics. This execution of minimalist circuitry with quality parts result in a control amplifier that is notable for its resolution of subtle dynamic shadings and palpable imaging, for a natural harmonic tonality, and extraordinary resolution. 45 watts per channel RMS both channels driven into 4 ohms from 30Hz to 15kHz at no more than 1.5% total harmonic distortion or intermodulation distortion. 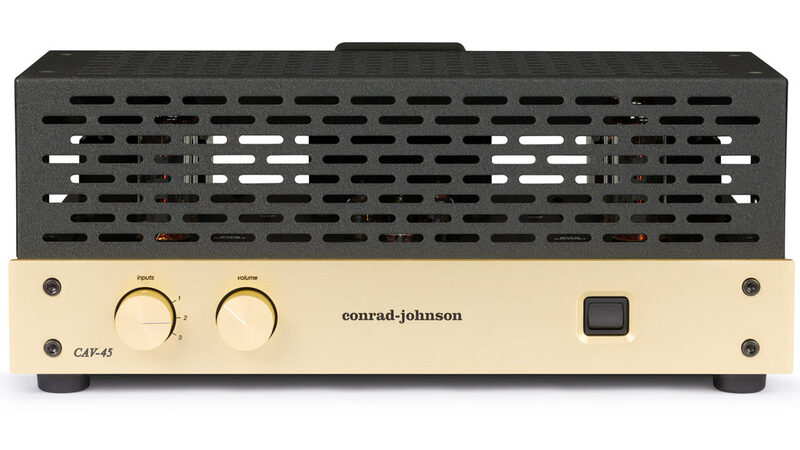 Every conrad-johnson CAV45-S2 Line-Stage Preamplifier is patiently and carefully hand assembled, then individually inspected and its performance verified by an experienced audio technician.